This entry was posted on September 22, 2014 at 7:51 pm	and is filed under Free Barbie Dress Patterns. 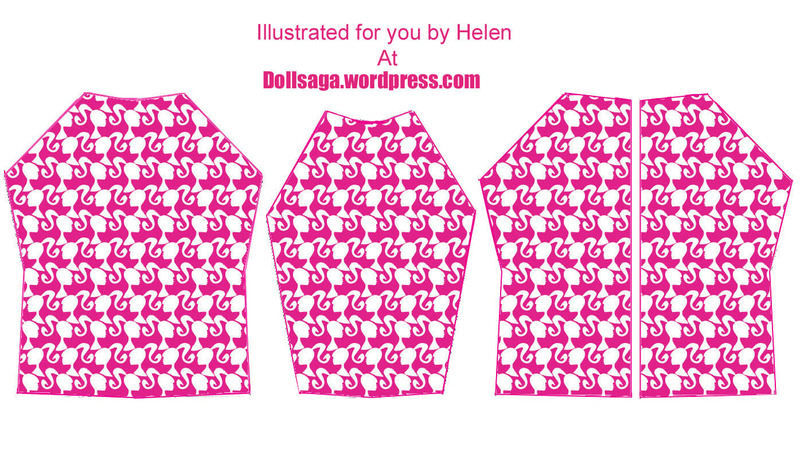 Tagged: Barbie t-shirt Pattern. You can follow any responses to this entry through the RSS 2.0 feed. Both comments and pings are currently closed. Besides being super talented, you are super generous. How nice! I will definitely try to make some with this pattern! again, the photo hosting site Majhost is down, not sure what is happening, the photos are not showing up, sorry. Are there any instructions on how to use this pattern? I have bought a mini sewing machine for my daughter and we are trying to do a basic top for her barbie, but I do not know how to put these together. Yes, i am that new to sewing?